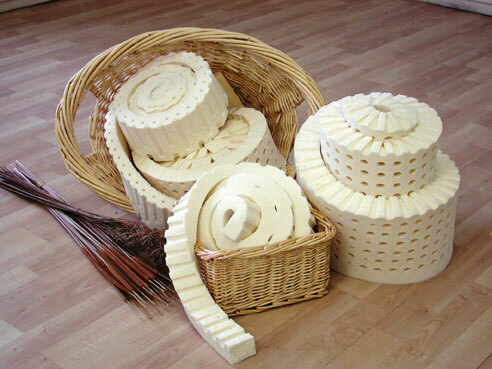 This soft pure natural Dunlop latex (rubber) pillow top provides more surface depth. We added wool padding Made in the USA with a blend of organic fabric, and Pure Northwest Oregon/California Eco Wool®.which is a natural fire retardant. Wool keeps you warm in the winter and cooler in the summer. It’s naturally antibacterial and hypoallergenic. Mold and dust mite resistant. Soft and comfortable. Inside you will find a 3 inch natural latex core. 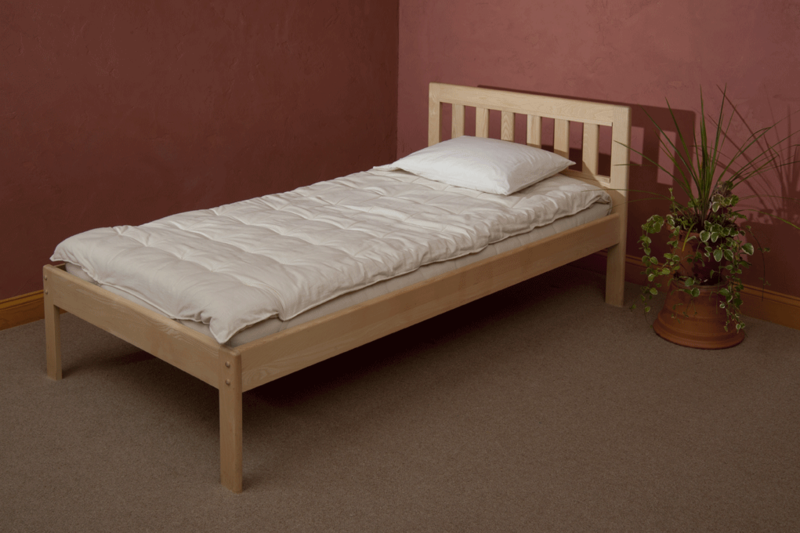 This pillow top also makes an excellent extra bed for overnight guests. This topper is especially good for people with shoulder problems, fibromyalgia, arthritis and people who like to play sports that ache all the time. Comes with a 3-year warranty. Does not come with a zipper. Made in Upstate New York. Rated 75-D soft. 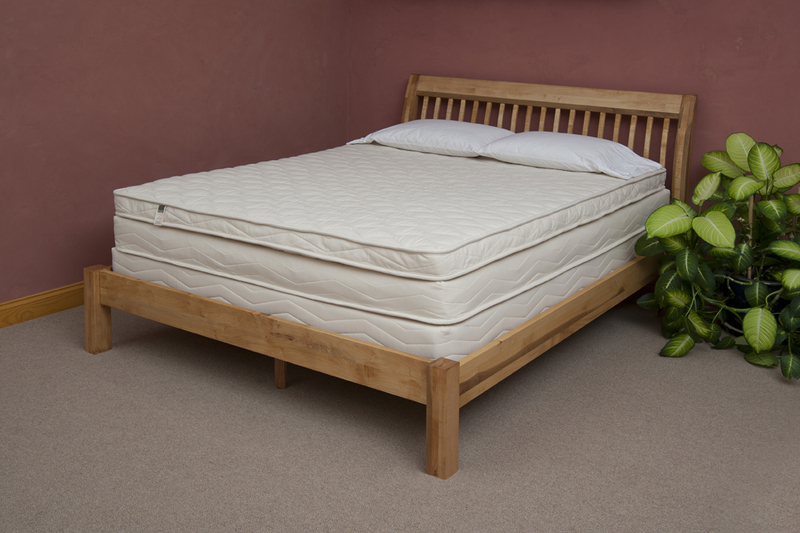 Protect your pillow top with an organic wool or cotton mattress protector. 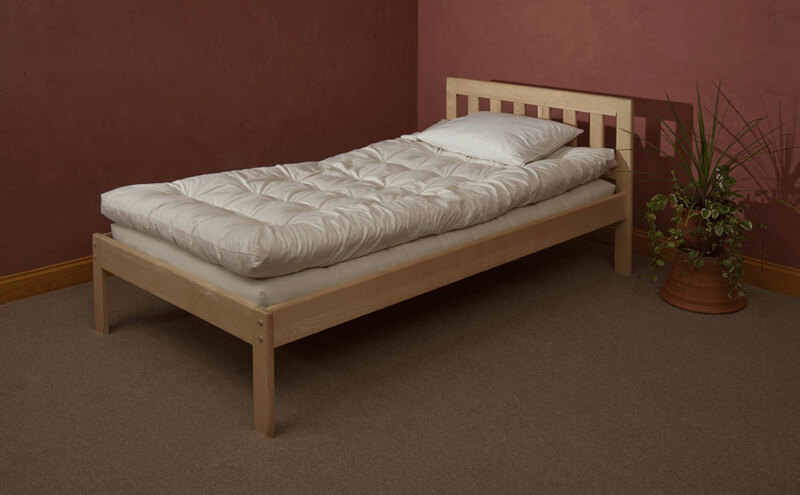 A special blend of Wool padding made in the USA with Certified Organic Wool, and Pure Northwest Oregon/California Premium Eco Wool® which is a natural fire retardant. This 2 inch thick wool pillowtop has a filling of Long Staple Pure Northwest Oregon/California premium Eco Wool® in the center. This newest version is beefed up in the centers with more wool, where compression happens the most. Surrounding the wool is organic cotton fabric or otherwise known as ticking. This hand-tufted ticking prevents the wool from shifting or lumping. Wool batting maintains a comfortable loft even after full compression. Relatively small and compact, the 2 inch comes with corner straps. These semi-plush toppers can be used on any mattress and are easily taken for a road trip. This is by far our most popular wool topper line. 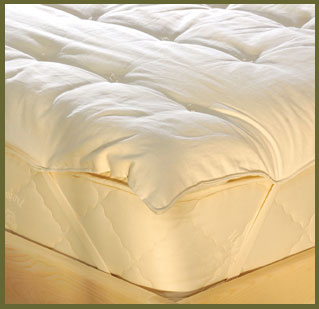 Care for your pillow tops by placing an organic wool or cotton mattress protector over the pillow top. Flip and turn the pillow top every 6 months. If it gets dirty,spot clean with vinegar and water. For heavier cleaning, have professionally dry cleaned, but make the cleaner prove how they will do it and guarantee it. Organic Cotton ticking is certified organic. This 3 inch pillow top has a lot of Long Staple Pure Northwest Oregon/California premium Eco Wool® in the center. This newest version is beefed up in the centers with more wool, where compression happens the most. Surrounding the wool is organic cotton fabric or (ticking). This hand-tufted ticking prevents the wool from shifting or lumping. Wool batting maintains a comfortable loft even after full compression. The 3 inch does not have corner straps, but holds down nicely to the mattress. These semi-plush toppers can be used on any mattress and are easily taken on the road. This is by far our most popular wool topper. 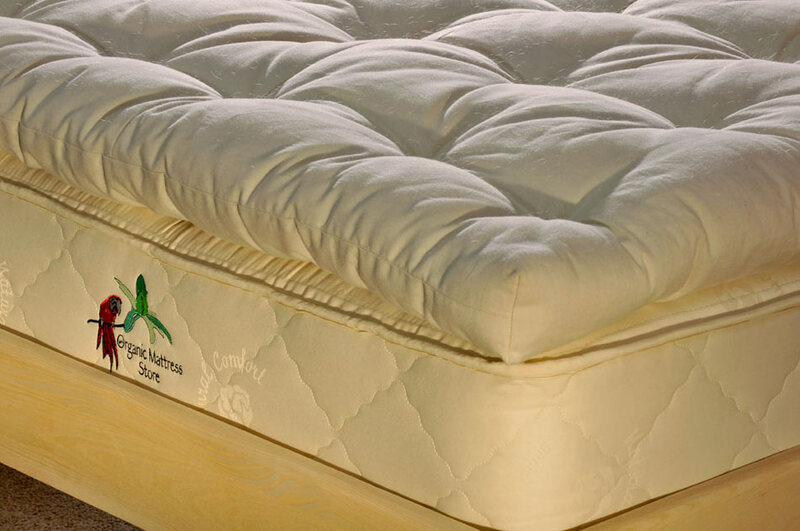 Care for your pillow top by placing an organic wool or cotton mattress protector over the pillow top. Flip and turn the pillow top every 6 months. Spot clean with vinegar and water if soiled. For heavier cleaning, have professionally dry cleaned, but double check out the cleaner for there credentials.